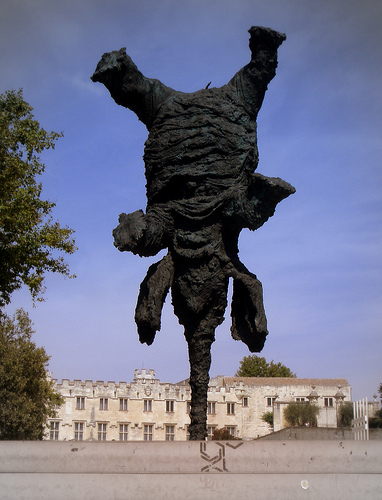 It's one of those elephant sculptures again - this time in Avignon, in front of the papal palace! This particular elephant standing on its trunk was created by Miquel Barceló, a Catalan artist with a sense of nonsense. It will remain in place until mid November 2010. Voir toutes les photos pour "Avignon"
Ajouter un commentaire sur "balancing act"